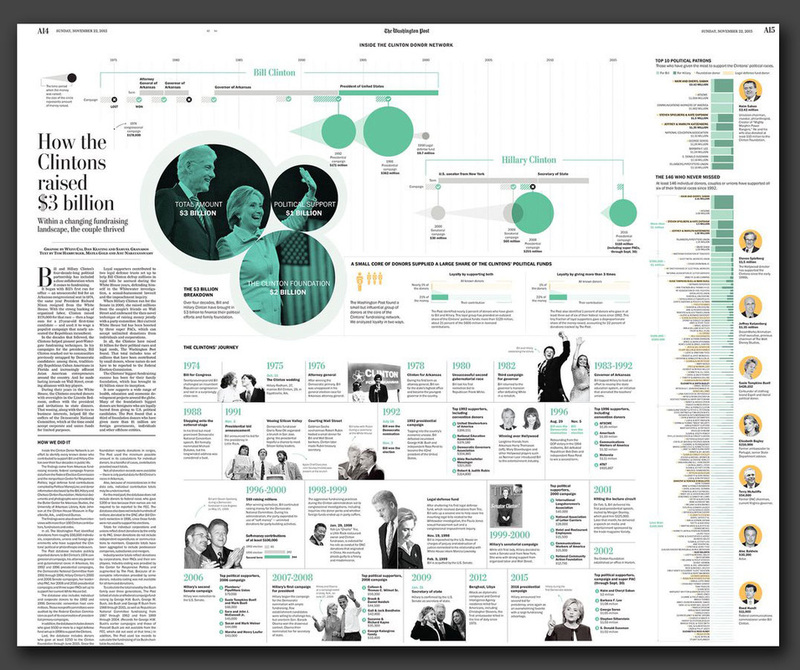 I was the designer of this two-page information graphic accompanying the print package of Clinton Donor Network project. It final result came after countless versions and proofs. We started with not enough information, came close to killing the whole graphic and finally came through with three parts with great help from Samuel Granados, the Deputy Graphics Director at the Post. Roles played: Design, illustration, visualizations. The Washington Post, 2015.